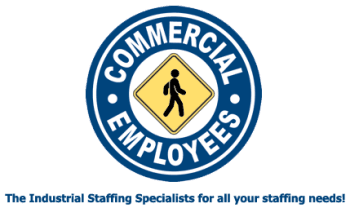 Commercial Employees staffs several of the leading industrial companies with multiply positions. Below is just a few. Hit the Apply Button and a Commercial representative will be in touch with you immediately. Also check us out on Facebook and Indeed!